Nicole and I love great breakfast food and this year we decided to have a Fourth of July family brunch. The last several days we have been trying out some of our favorite breakfast bakes, and we thought we would share them with you. 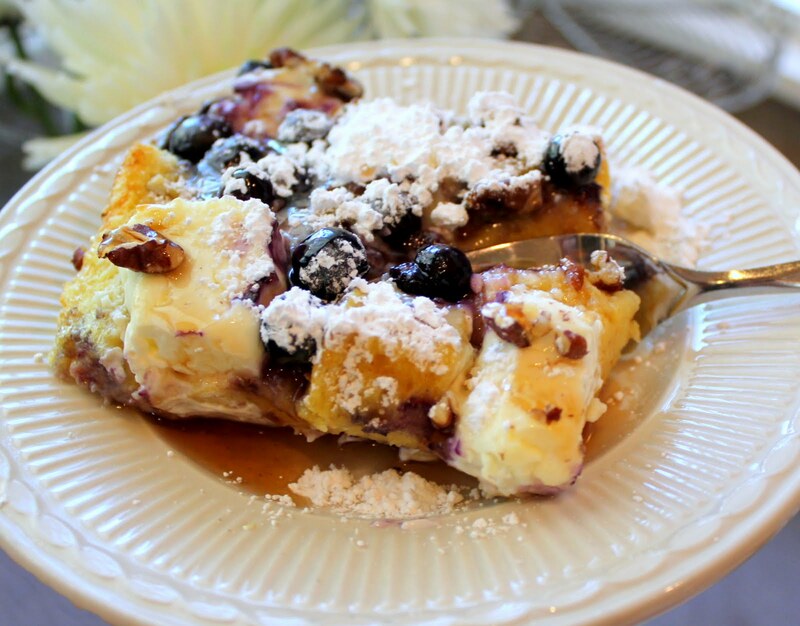 Our sweet sister-in law, Brandy, introduced us to this blueberry french toast bake several years ago. It is heavenly, especially once it's topped with powdered sugar and syrup! This recipe comes from good ol' Betty Crocker. Beat flour, milk, sugar, vanilla, salt, and eggs in a large bowl with hand beater until smooth. Stir in bread cubes until coated. Pour bread mixture into casserole dish. 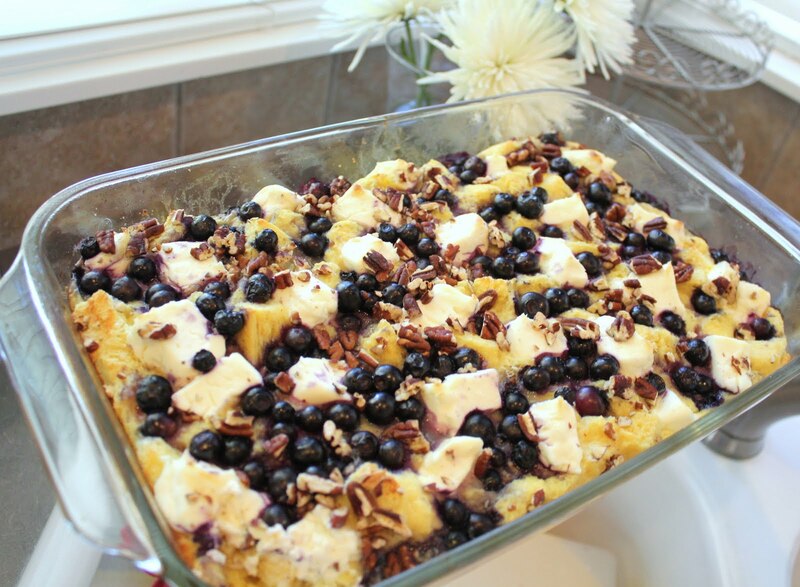 Top evenly with cream cheese, blueberries, and nuts. Uncover and bake 20-25 minutes or until golden brown. Sprinkle with powdered sugar and serve with syrup. Now THIS is a recipe that I want to try. It just oozes of yumminess. I think it looks DIVINE! And like you, my kids would hate it, too, LOL!! But there's nothing wrong with making it in two smaller pans and dividing the batch in half... just add some cinnamon for the kiddos and omit the blueberries, cream cheese and nuts! Are you sure the recipe only has 3oz of cream cheese? I'm looking at the picture, and there's quite a bit of cream cheese cubes on top. I'm wondering if it's supposed to be the normal 8oz brick.